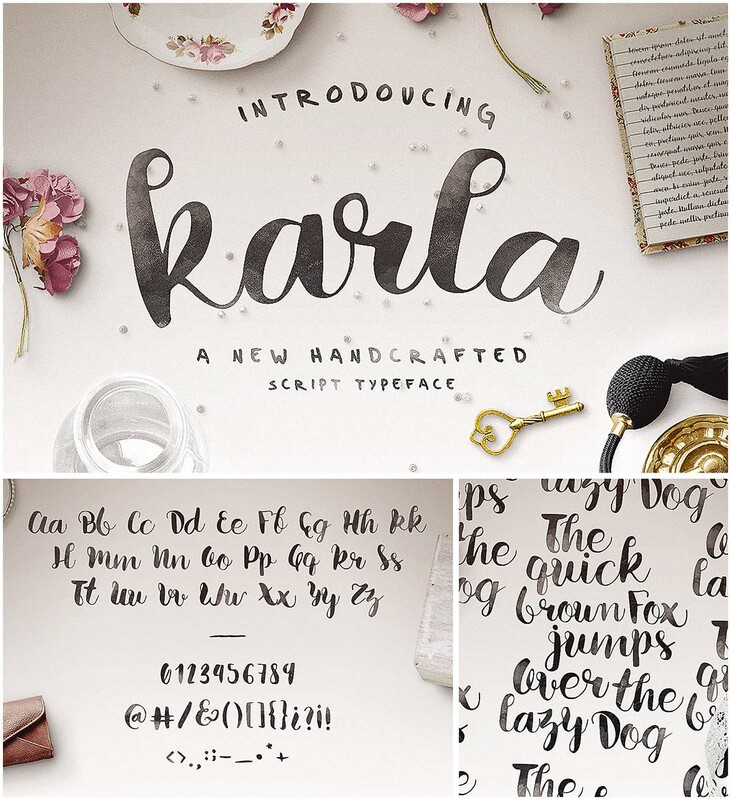 Introducing an amazing script – Karla . Perfect font for creating wedding invitation cards, logotypes, quote images and many more. File format: .abr, .otf, .ttf for Photoshop and other software. 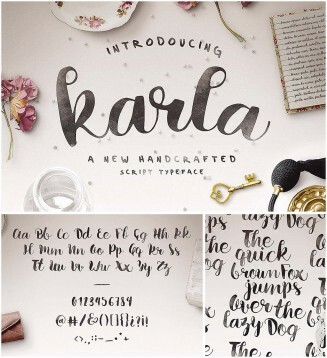 Tags: brush font, calligraphy, hand lettered, script, typeface, watercolor.